Find an available cottage now! Offering vacation rental cottages in the most desirable location on all of Cape Cod, with majestic sand dunes, sweeping ocean vistas, breathtaking sunrises and sunsets, whale-watching, boating and fishing, golfing and, of course, the freshest seafood around. Located in Wellfleet, Cape Cod, Massachusetts (known for world-famous oysters) our Cape Cod cottages are close to everything you want to do, but off the beaten path (Rt. 6) so you can also enjoy quiet relaxation as you commune with the sand and sea. Most of our rentals are just a short walk (200 to 500 steps) to a great ocean beach where you can body surf, board surf, paddle board, castle build and splash about under the watchful eye of trained life-guards. Our cottages are only a 19 mile drive to the whale-watching boats in Provincetown and, in the other direction, it's 31 miles to the Hyannis ferry terminal for a day trip to Nantucket or Martha's Vineyard. Wellfleet is located at a very narrow part of Cape Cod. 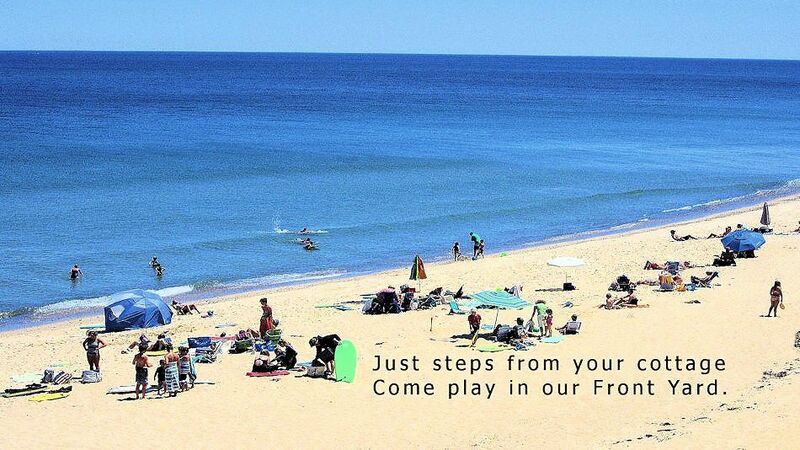 We have the ocean beaches, where we are, beaches on Cape Cod Bay are 3 miles away and, in between, we have crystal clear fresh water ponds, all with swimming beaches. Fishing, boating, hiking, birding, shopping, theater, golf, history...the Wellfleet area has it all, including the freshest seafood you've ever eaten. Stay with us and find out why so many of our renters return year after year. We are open from April until November. Surfside is a lovely little getaway of small houses that are lovingly maintained, and attentively managed. The national seashore (beach) is a short walk away for a walk with my thermos of coffee in the morning, and I finish the day among the treetops on the roof deck. It's quiet but not isolated, and the best week of the year for me. 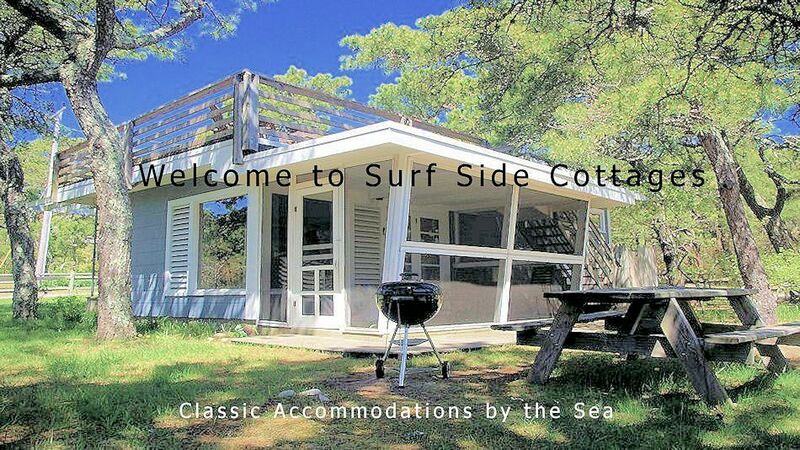 Your last chance to stay at Surf Side Cottages tax free! Go ahead, call, text or email today. We will answer.